OMG today in Sam Gimi was so crowded! Market day is Thursday, until 1pm, so throngs of tourist buses came in and out but, despite the crowds, it was great because shopping, both in the market and shops, was reasonably priced. 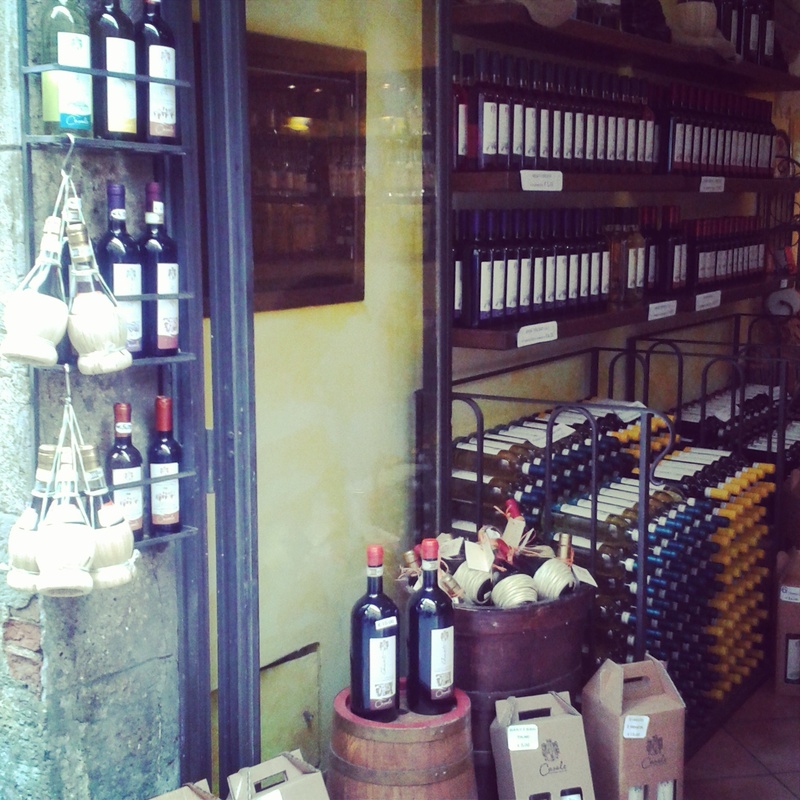 You can get a bottle of Chianti for 5 Euro, grab some salami, cheese and rosemary fries (yum!) and sit on the steps of the main square and watch the world go by. Souvenirs – olive wood products, gift wrapped wine, olive oil, marble etc was cheaper than in Volterra, the nearby walled city we had just arrived from. 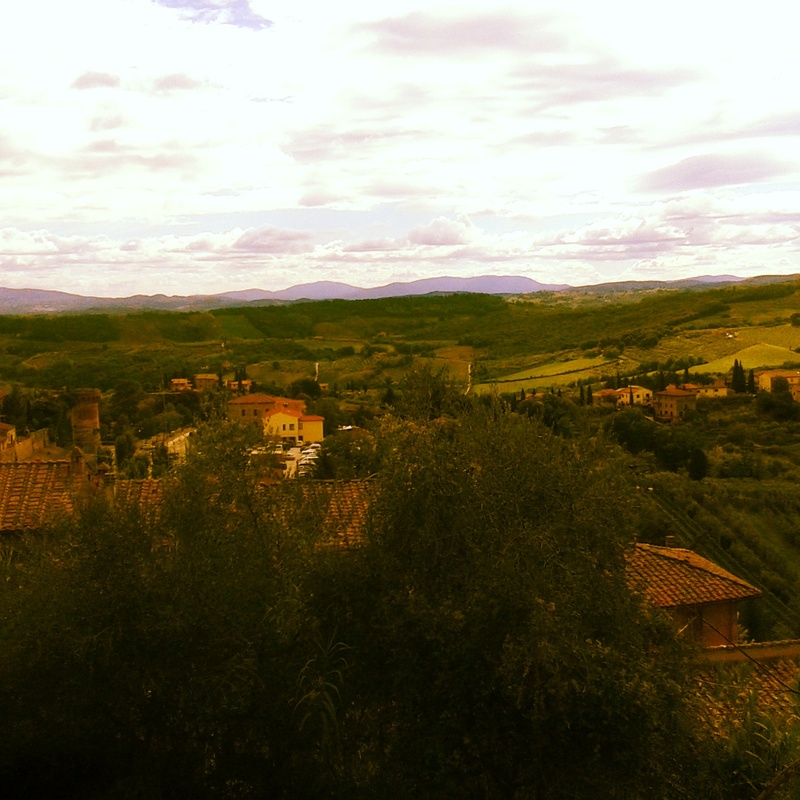 Avoid the big crowds at The Venaccia Wine Museum on a hill at the highest point of the town. Don’t go for an education in wine – it is not good as a museum – but it is awesome as a place to hangout, overlooking the vineyards and more peaceful than the rest of town. The view from the outdoor terrace (see above) is gorgeous. 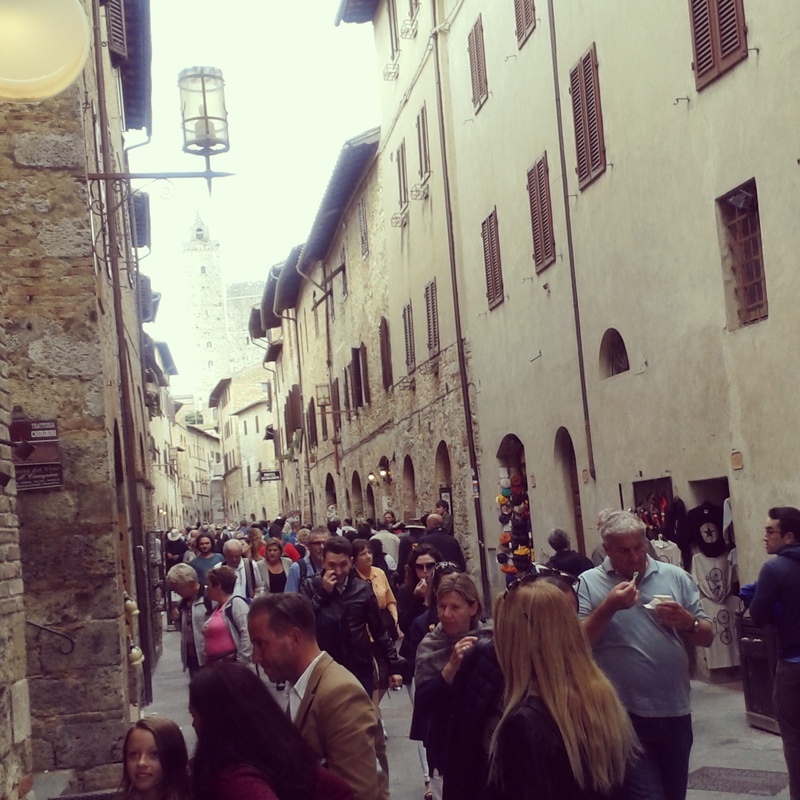 Posted in San Gimignano, shopping, TravelTagged san gimignano, shopping, Tuscany, wine regionBookmark the permalink. One pot cooking in the mobile home!